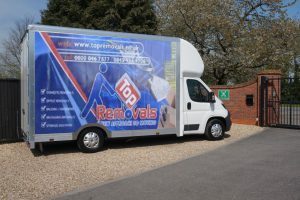 The new vans will be used for our new trade route to Scandinavia — allowing for our highly valued clients to complete moves to Scandinavia with ease, just like all of the other international moving services that we offer. The two new vans that we have ordered are the XLWB Jumbo Maxi Mover vans and are the absolute perfect furniture delivery vans — boasting a truly impressive payload of up to 1220 kb and a 27 cubic metre carrying capacity. Not only this but these vans have extra high roofs and extra-long wheelbases allowing for maximum volume and load capabilities — which is what people need when moving a long way away. These brand new low loading vans from Maxi Mover also incorporate high cab spec levels including but not limited to electric windows, air conditioning, Bluetooth and remote locking — allowing for all clients looking to move to rest assured knowing that their belongings are in the safest of hands, or vans should we say, while in transportation. What more could anyone want? Just because our new vans are going to be predominantly used for moves to Scandinavia, this does not mean that the vans used for other international removals will not be of the highest quality also — we simply already had the greatest vans for these moves. Some of the destinations in which we are able to help clients move to include Greece, Austria, Spain and the Baltic Countries, all of which we are able to complete to the highest standard while including move management and administration, shipment tracking, international insurance products, country and customs information, door-to-door assistance, secure storage facilities and much more — tailoring our services constantly to meet our clients individual needs and requirements. Whether you’re looking for assistance in relocating to Scandinavia, or any of the other destinations that we are able to assist with moves too — we urge you to give us a call today. Not only will our professional and friendly team be able to provide you with a wealth of knowledge and information, but you will also be able to reserve dates in order to avoid disappointment.